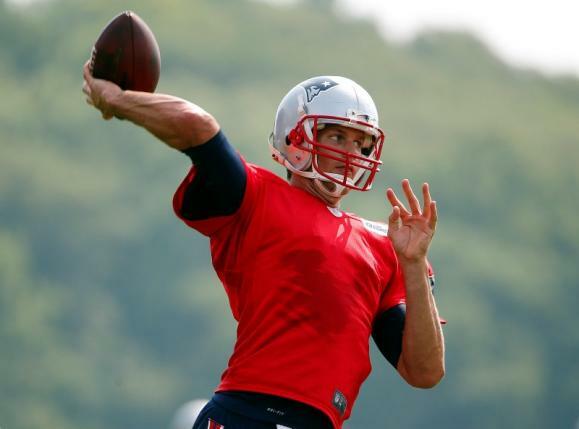 NEW YORK/WASHINGTON – Tom Brady’s effort to void his four-game suspension was set back on Thursday as litigation embroiling the New England Patriots star quarterback was sent to a New York judge, who urged a speedy resolution to the “Deflategate” scandal. U.S. District Judge Richard Berman in Manhattan ordered the National Football League and NFL Players Association to begin settlement talks “forthwith actively,” and cool their public sniping. The NFL and the union declined to comment. Brady has been banned from playing in the first four regular season games over his alleged role in deflating footballs, making them easier to grip in cold weather, for the Jan. 18 game that put the Patriots in the 2015 Super Bowl, which it won. Within minutes after NFL Commissioner Roger Goodell upheld the suspension, the league on Tuesday filed papers in New York to confirm it, only to have the NFLPA on Wednesday file a lawsuit in Minnesota challenging Goodell’s authority. The Minnesota court is considered friendly to unions, and in February voided an NFL suspension of Minnesota Vikings running back Adrian Peterson following his no-contest plea to hitting his son with a tree branch. But U.S. District Judge Richard Kyle in St. Paul on Thursday found “no reason” to keep Brady’s case in Minnesota. Kyle noted that the NFL filed first in New York, the league is based there, the NFLPA is based in Washington, D.C., and Brady’s team is in Massachusetts – all in the eastern United States. He also said Brady’s suspension should not be reviewed in Minnesota just because Peterson’s was. “Venue simply cannot be predicated on such a thin reed,” he wrote. Had the case stayed in Minnesota, it would likely have been assigned to U.S. District Judge David Doty, who has a history of labor-friendly rulings in NFL cases. Jodi Balsam, a Brooklyn Law School professor and former NFL in-house lawyer, said Brady could seek an injunction to delay his suspension, but faces a high hurdle because it was imposed through procedures in the union’s collective bargaining agreement. Appointed to the bench in 1998 by President Bill Clinton, Berman is considered an unbiased judge who tries to handle cases efficiently, according to anonymous lawyer reviews in the Almanac of the Federal Judiciary. Last September, Berman sentenced Dinesh D’Souza to eight months in a community confinement center after the conservative author pleaded guilty to campaign finance violations.